Approximately 200 students at JEJ Moore Middle School in Disputanta, Virginia learned about the plight of the Azawak people and then participated in A Walk for Water. 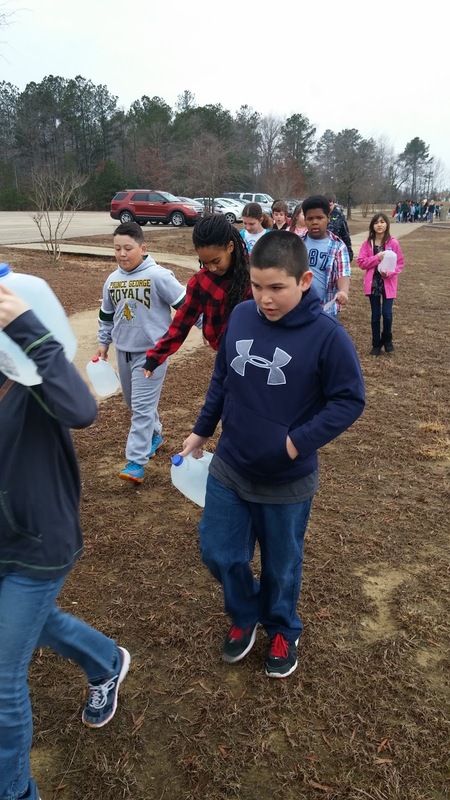 On February 16, 2016, students walked the track at school carrying one gallon of water. 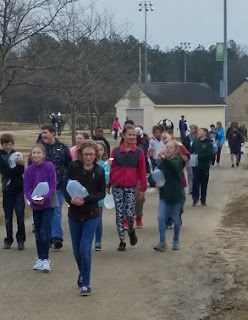 Some of the students walked up to 5 miles. 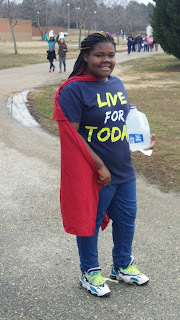 The students took part in a 10 year tradition of A Walk for Water. Students gathered sponsors and donations. The kids were able to raise over $3200.00 for the Azawak! This is the third year students at JEJ Moore have learned about water scarcity and completed the unit with a service learning project. 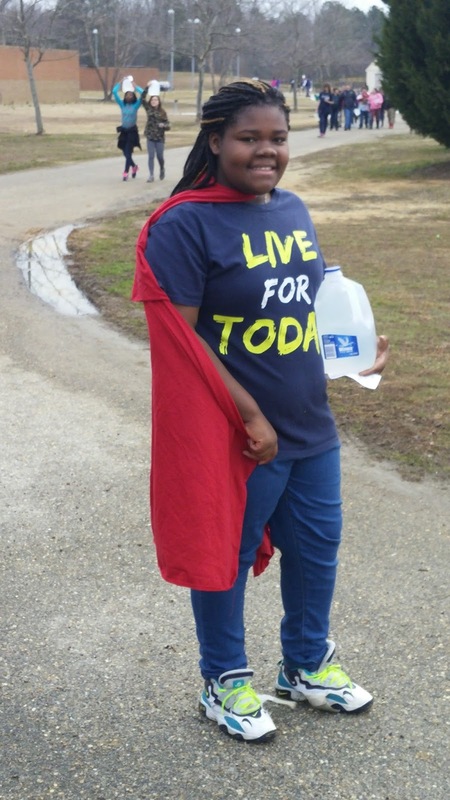 2016 is the 10th anniversary of A Walk for Water. The first walk for the Azawak was held in 2007. Join our celebration by hosting your own event! Learn more here.